Selling this 1981 Greco TL-800 Brazen Picker Super Real. It is in almost mint condition and comes with the original hang tags (which indicate the model number - TL-800 on it) case and case key. It is 100% original with untouched solder joints. It has some oxidization on the metal parts but has no scratches or dents or dings or anything like that. Super clean. Wonderful one piece body. So you are the guy who got that a couple of weeks ago on YJ. 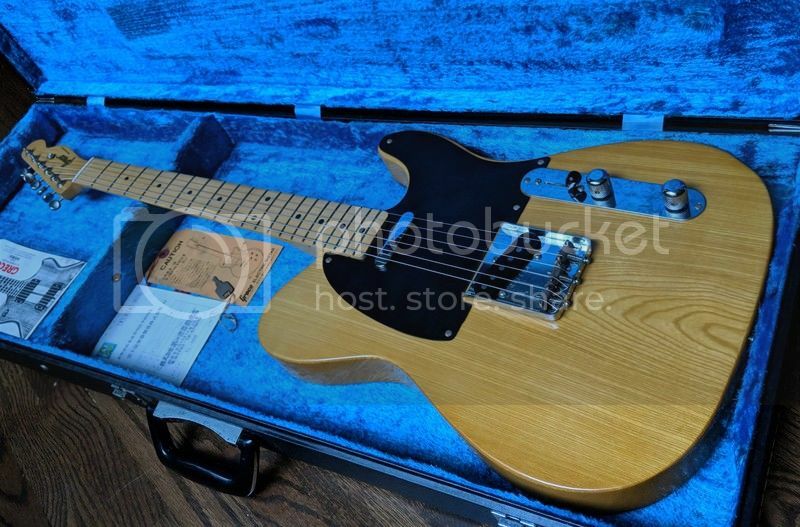 I should have bid more, it is a beautiful guitar in great shape, GLWTS. I was hoping for a full U neck profile but it's more of a soft V profile which isn't my preference. Just looking to pass it on for what I have into it. If not, no big deal. I'm happy to keep it. It's a great player. this is the homepage of the music store today that the original owner of your greco tele originally bought it at about 40 years ago. they dont seem to sell the guitars but the piano mostly lately and music lessons. interesting? Nice guitar. 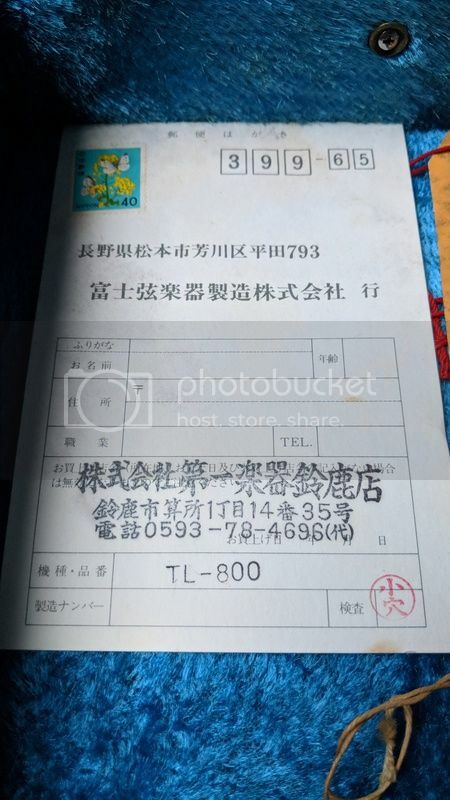 I'm potentially interested to buy it. I don't know very much about the Greco tl's, i've been more in interested in the tokais. Do you know if there's any difference between the Super Real and Brazen Picker? It's all in original condition? 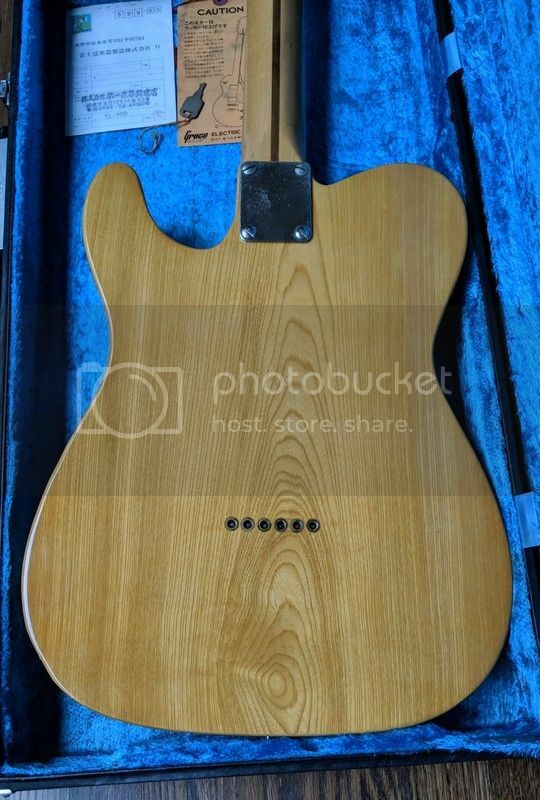 What's the wood body and neck? 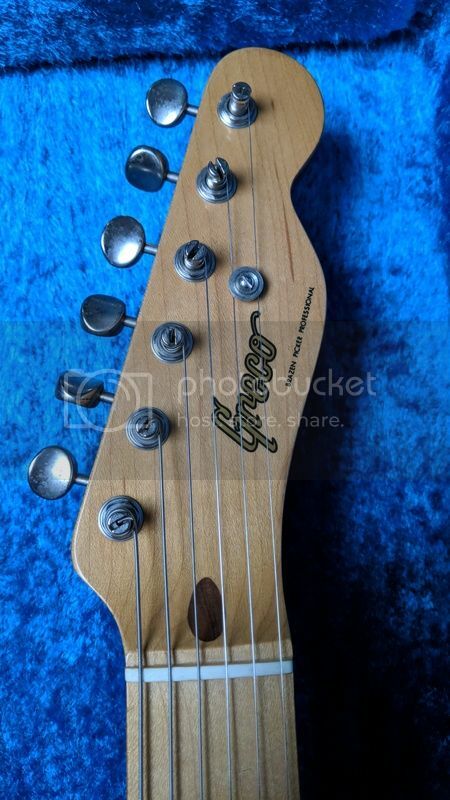 I'm presuming these are similar to the Tokai breezysounds? Yes it's in all original condition. The Greco catalog calls this model a Super Real so I guess it's both. 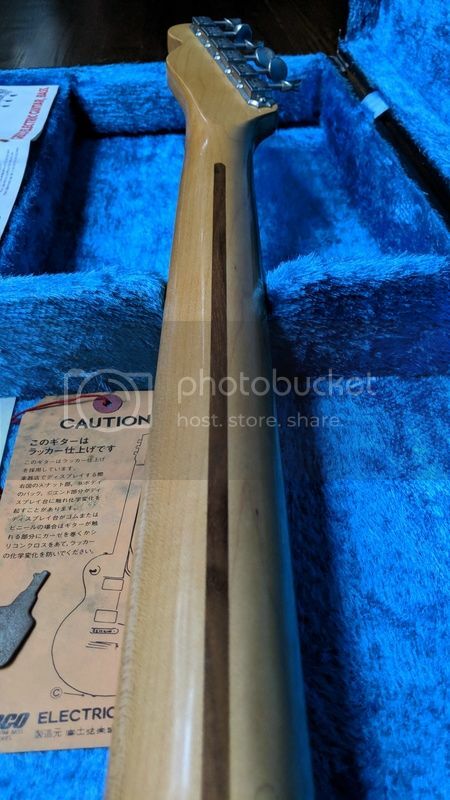 The neck is maple and the body is Japanese Ash or Sen I believe. 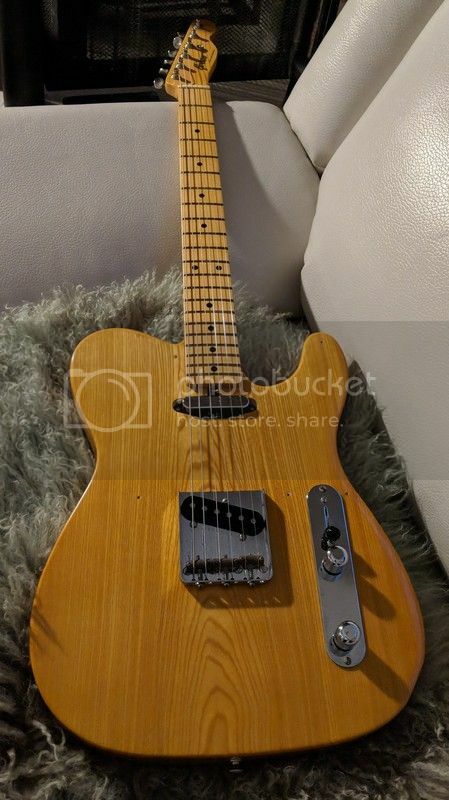 What kind of weight is the guitar? What are the pick ups? The v neck, would that be a thick neck? How much is shipping to the Uk please? Nice mint example of a Super Real TL-800. 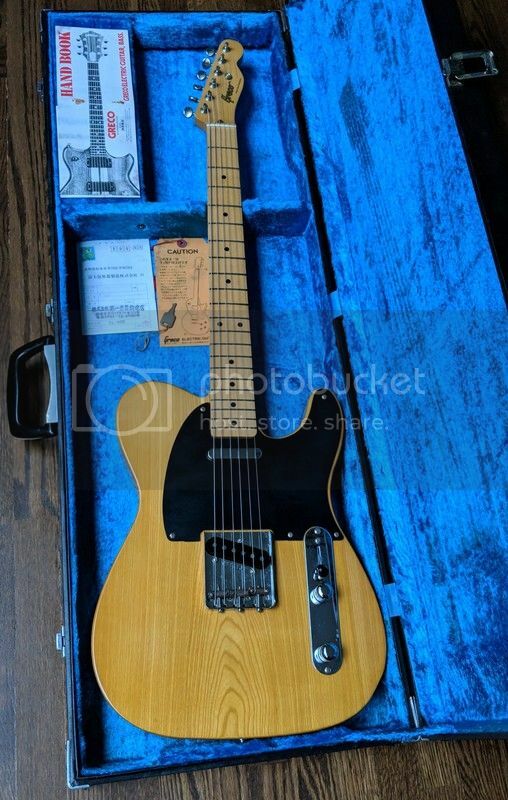 If you prefer U-shaped necks you could keep your eyes open for a late 1981 or early 1982 TL-800. They changed the specs a bit on those and went from V-Neck to U-Neck. Different Bridge pickup and tuners as well. 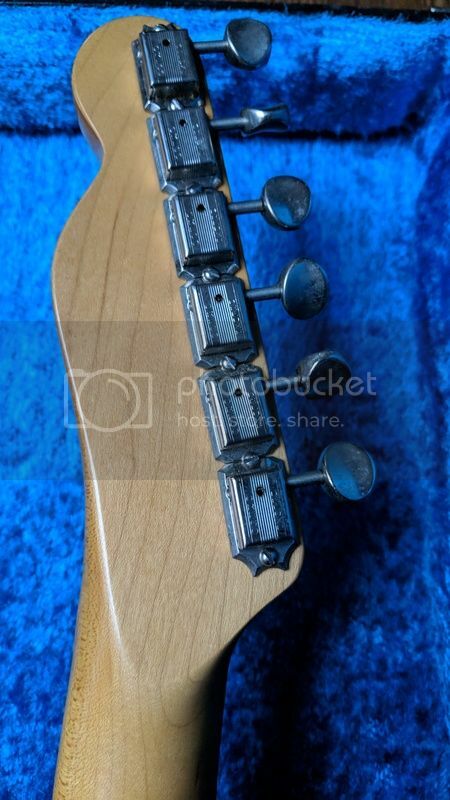 Staggered polepieces on bridge pickup and 8mm headstock tuner holes (no counter nuts for mounting the tuners) are helpful hints for identifying those.